pilihan peminat: Yes, he is very hot!!!! Silly soalan is Anakin/Darth Vader on your bahagian, atas 5 bintang Wars characters ? Would anda want to have Anakin as a husband if anda were his opposite gender? 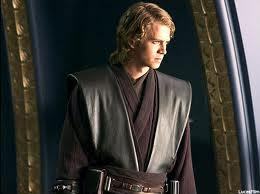 Do anda like young Anakin, Padawan Anakin, atau Jedi Anakin?? Do anda think Anakin and Padme is one of the best Cinta stories ever? What bintang Wars novels feature Anakin (not Vader) as a main character, besides the prequel movie novels? ok,so i picked up some rumors about bintang Wars. i can tell anda that they are not true. NO Lucas is NOT making new Filem based off of Han and Lea's children. No, the buku that OTHER authors wrote are not true. a pop quiz question telah ditambah: What was Padme's full name? Which one of Anakin's children followed in his footsteps sejak becoming a Jedi?